Motorola is offering $100 off the purchase of a new phone to users whose current phones won't get the latest version of Android. The so-called “Trade Up” program is a consolation for Motorola's decision not to upgrade some of its Android phones. Last month, Motorola abandoned its plans to upgrade the Atrix 4G, Photon 4G and Electrify beyond Android 2.3, despite earlier promises. 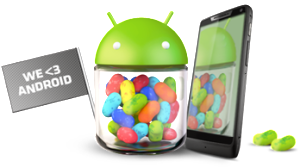 Those phones, along with 10 others that won't receive Android 4.1, codenamed Jelly Bean, are now eligible for trade-in. The new phones available in exchange include the Atrix HD on AT&T; the Razr HD, Razr HD Maxx and Razr M on Verizon; the Electrify 2 or Electrify M on US Cellular; and the Photon Q on Sprint or C Spire. For all wireless carriers except Verizon, users will have to purchase their new phone first, then mail in their old phone and a proof-of-purchase. A Motorola Visa Prepaid Card worth $100 will arrive in six to eight weeks. On Verizon, the process is easier. Users can simply bring in their old phone to a Verizon store and get a $100 Verizon Wireless Gift Card after activating an eligible new phone. That card can be used at Verizon's stores and website, or can be used to pay Verizon bills. Motorola, now a subsidiary of Google, is showing a newfound interest in keeping its smartphones up to date. All 2011 phones that aren't eligible for the trade-in, such as the Droid Razr and Atrix HD, will be upgraded to Jelly Bean according to Motorola, though it's not clear when that will happen.